Alberobello is a small village that is almost 50 km far from Bari. 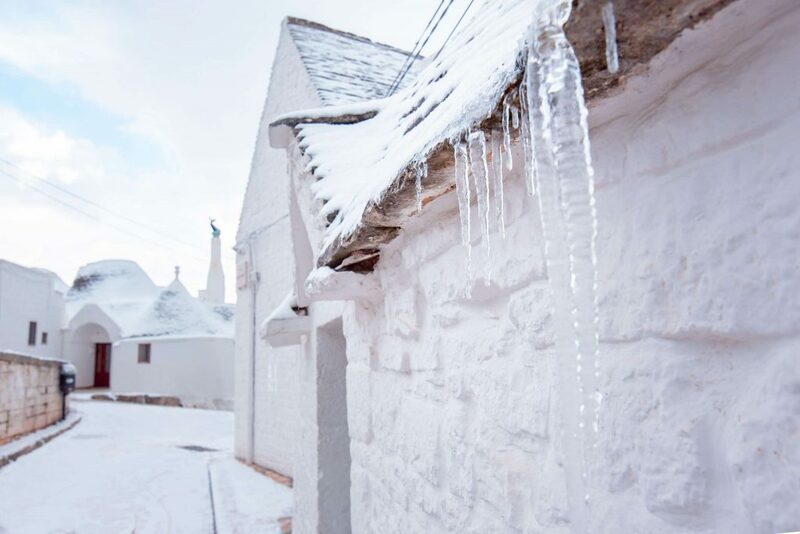 It stands on limestone rocks and it is well known as one of the main lands of Itria Valley. 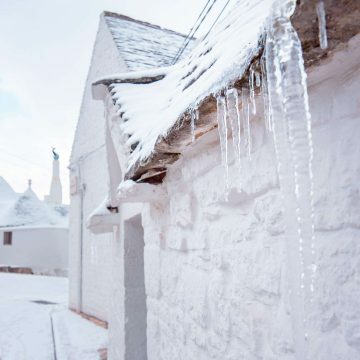 In 1996 the town has become a UNESCO World Heritage Site. 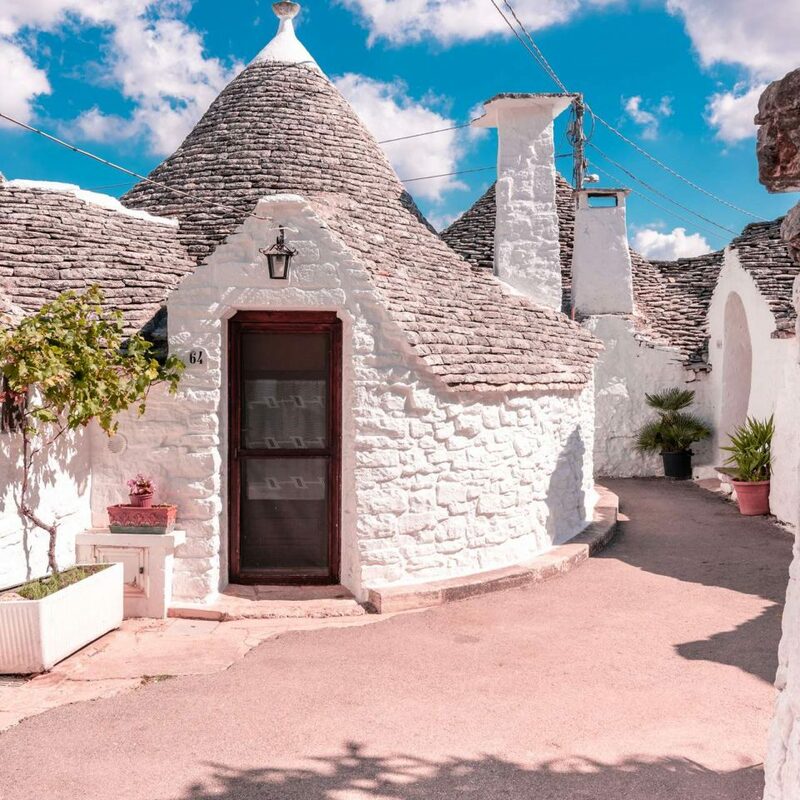 That title has been conquered thanks to the beauty of Trulli, which are the typical white houses characterized by a stone conical roof. 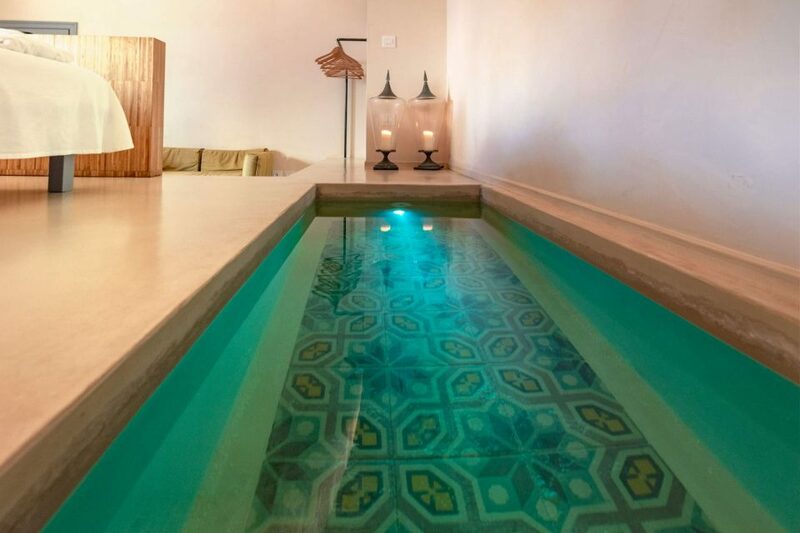 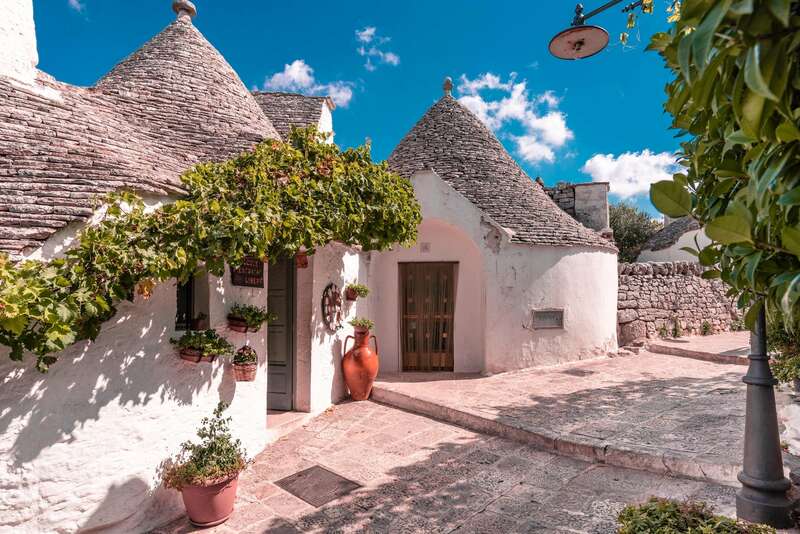 Two of the most important trulli are called “Casa D’Amore” and the “Siamese Trullo”. 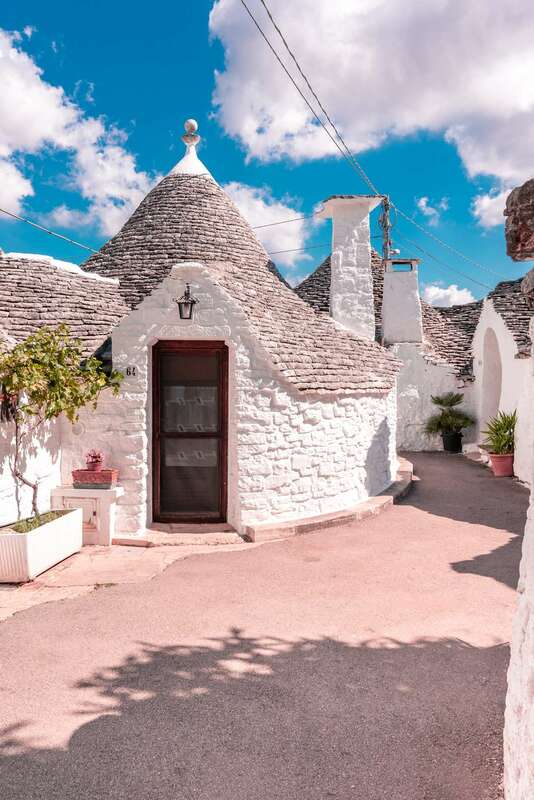 There’s even a Church built as a trullo! It is the Church of Saint Antonio. 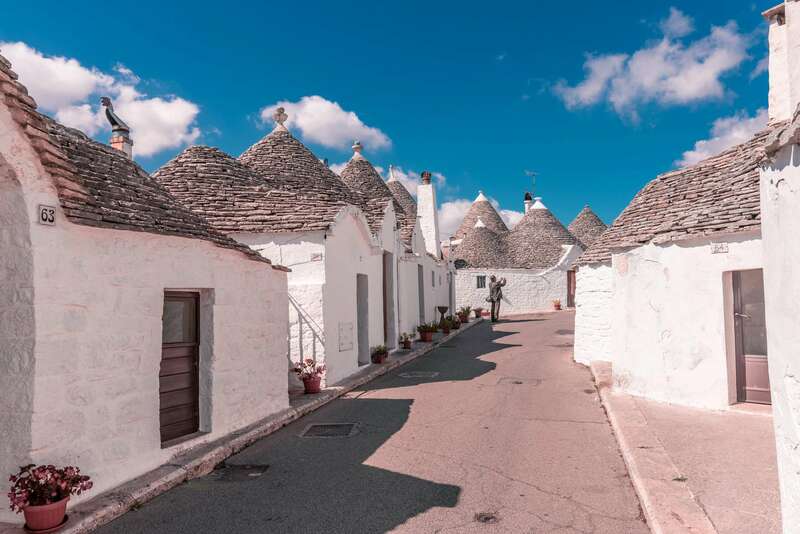 The historical heart of this village is divided by the street “Largo Martellotta” (which used to be called Largo delle Fogge) in two zones: “Rione Monti” and “Rione Aia Piccola”, both recognized as Italian National Monument in 1910 and 1930. 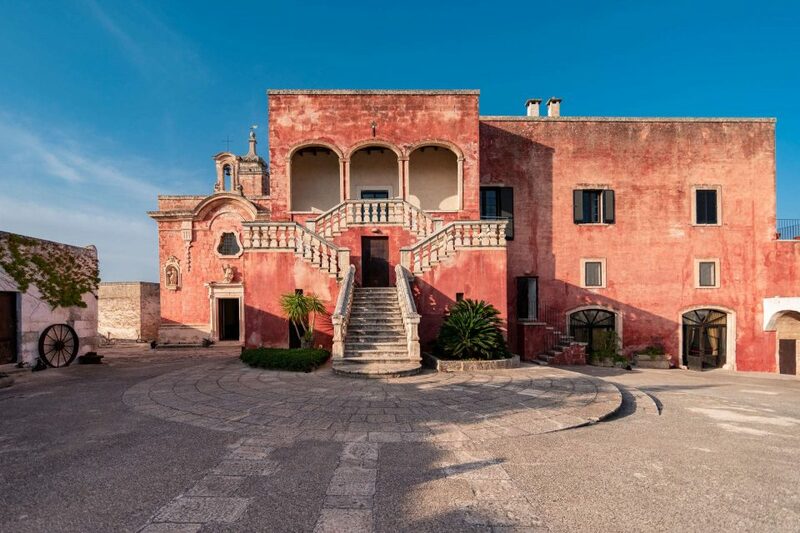 When in Largo Martellotta, be sure you don’t miss the Belvedere: go up the stairs and a breathtaking panorama will appear in front of you! 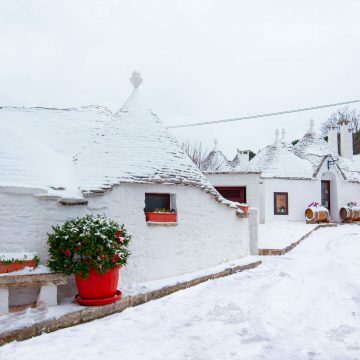 Beyond the magnificence of the architecture of Trulli, Alberobello is one of the main tourism attraction on Puglia even in winter time. Lights, decorations and the Nativity enhance its beauty in Christmas time and since it’s located in the hinterland of Puglia, nowadays it snows almost every year. 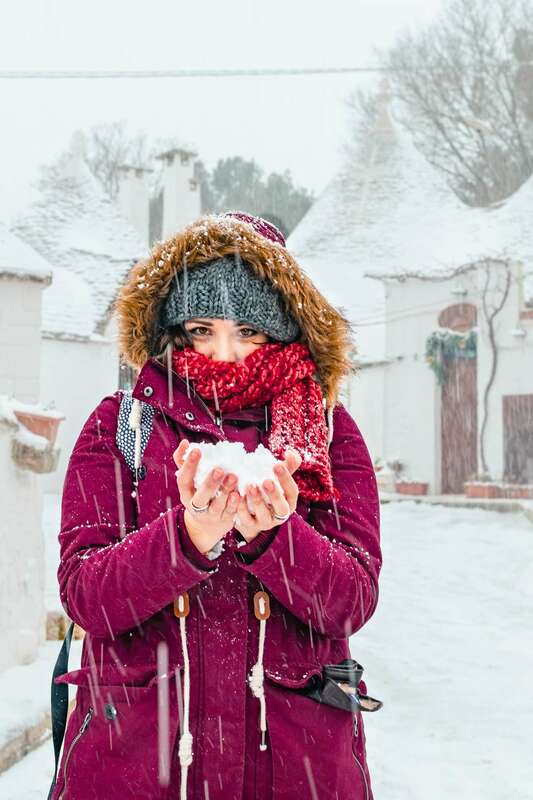 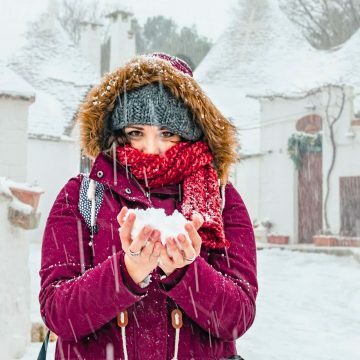 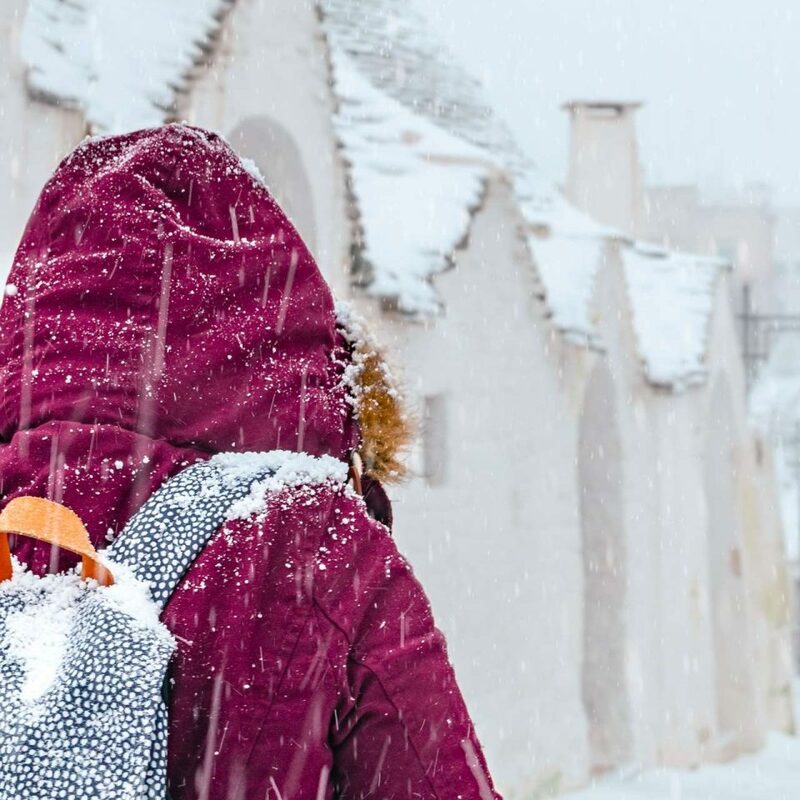 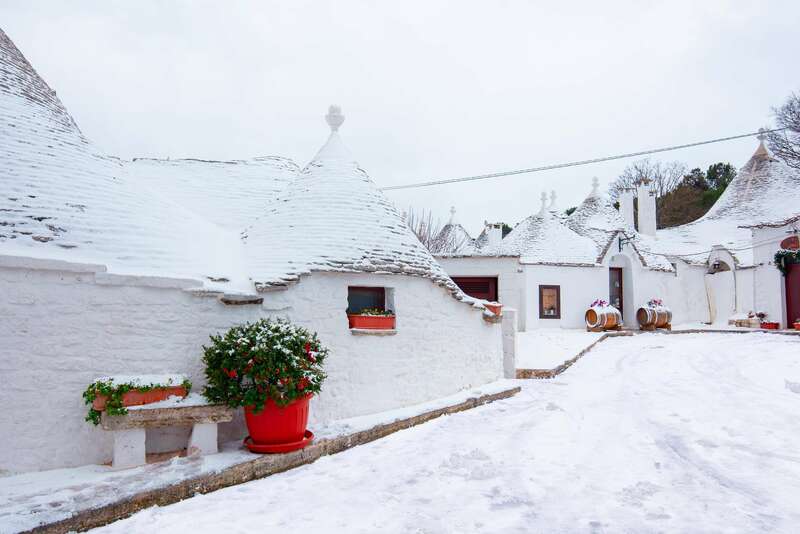 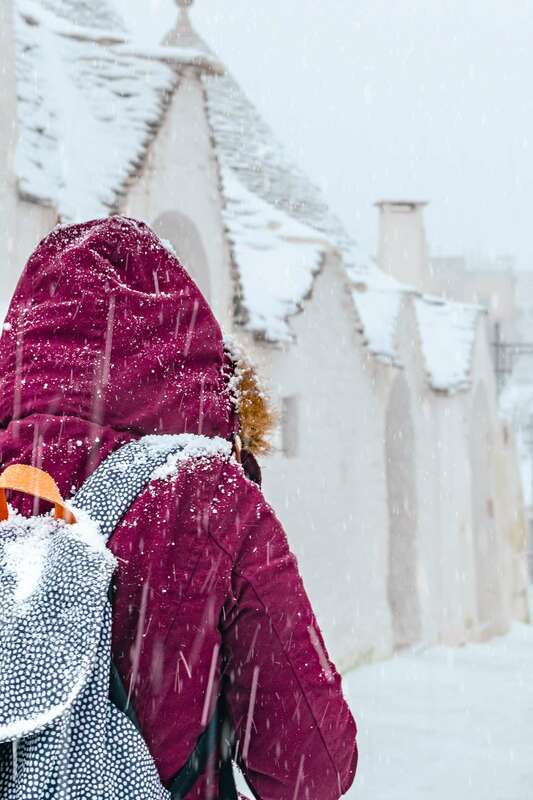 The snow falls just for a few days, normally in the early January, but looking at the Trulli covered by a white coat it seems to be in a fairy tale. 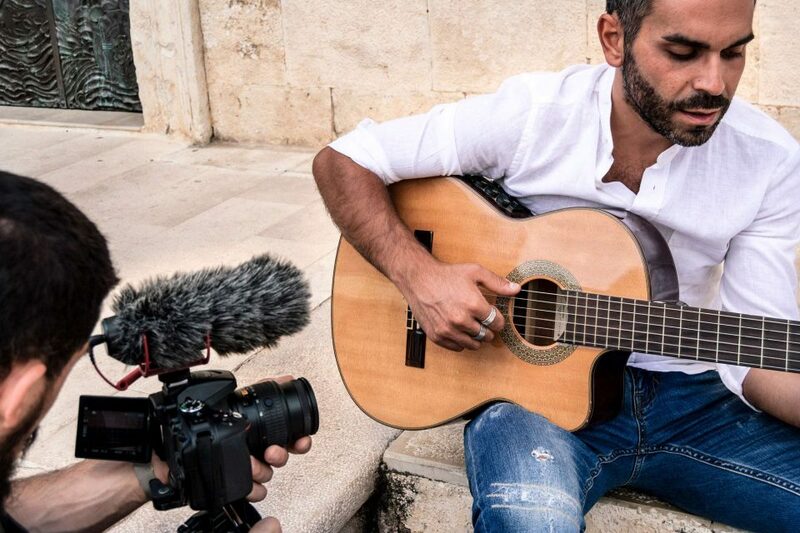 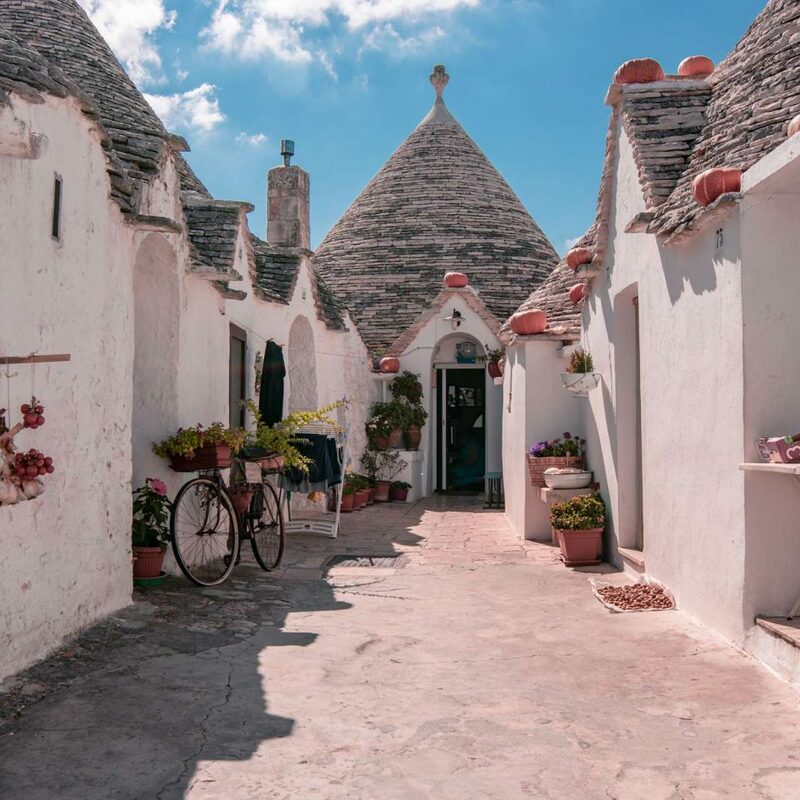 If you’re curious to meet the authentic Alberobello’s culture and dive into the real life of Trulli, you can visit the Museo del Territorio (Territory Museum) in “Casa Pezzola”: a group of 15 communicating rooms where tradition and technology get together to show history, habits and folklore of the town. 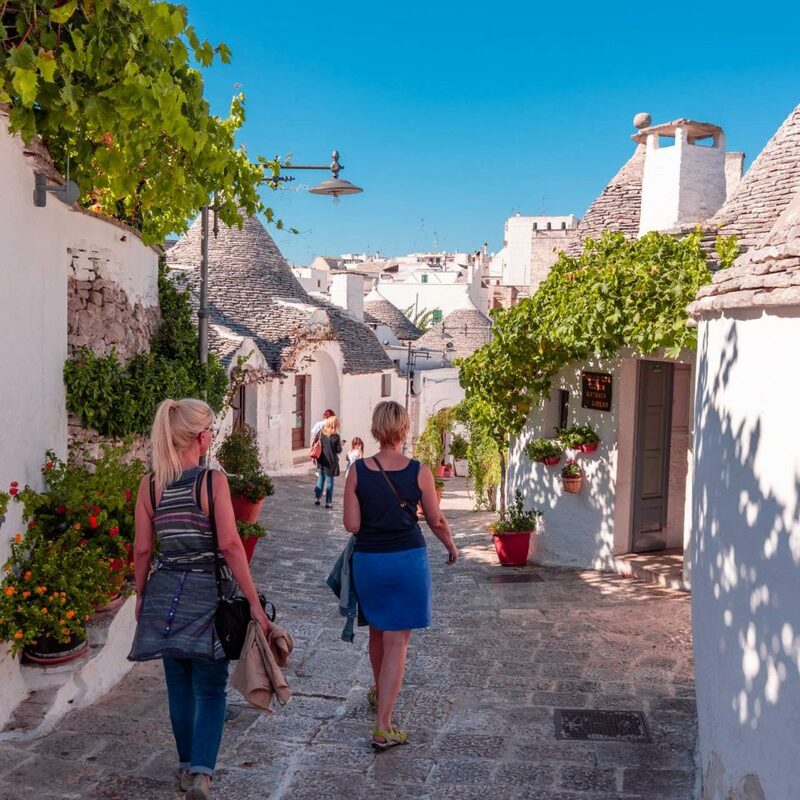 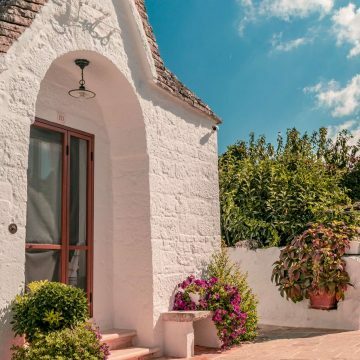 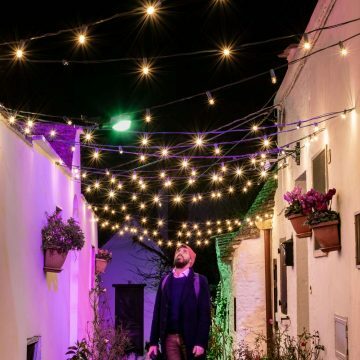 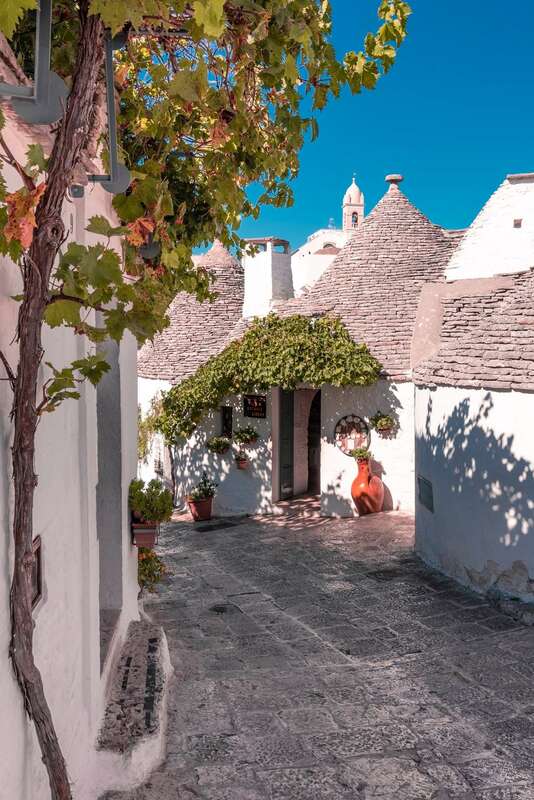 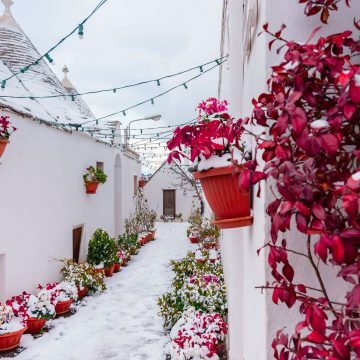 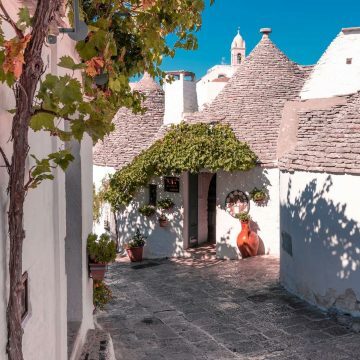 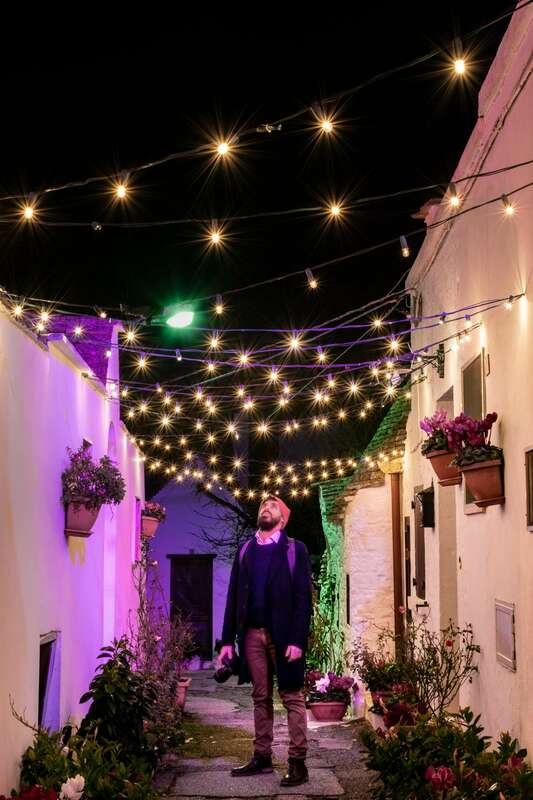 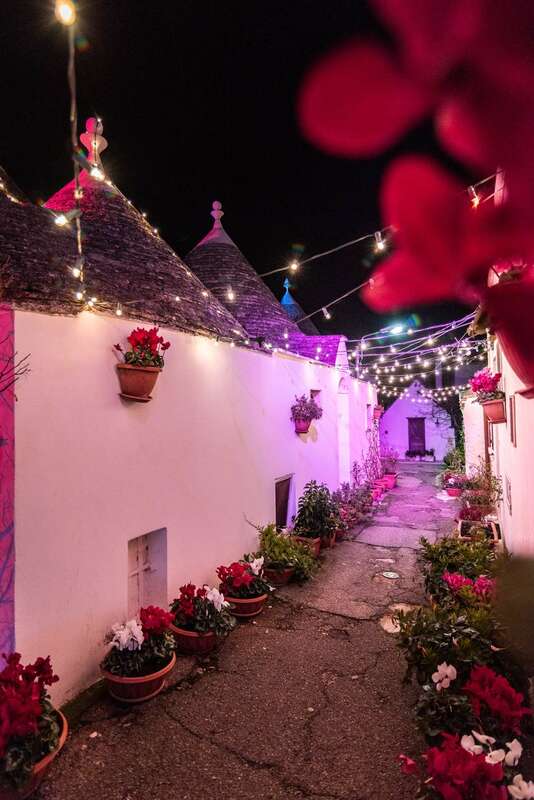 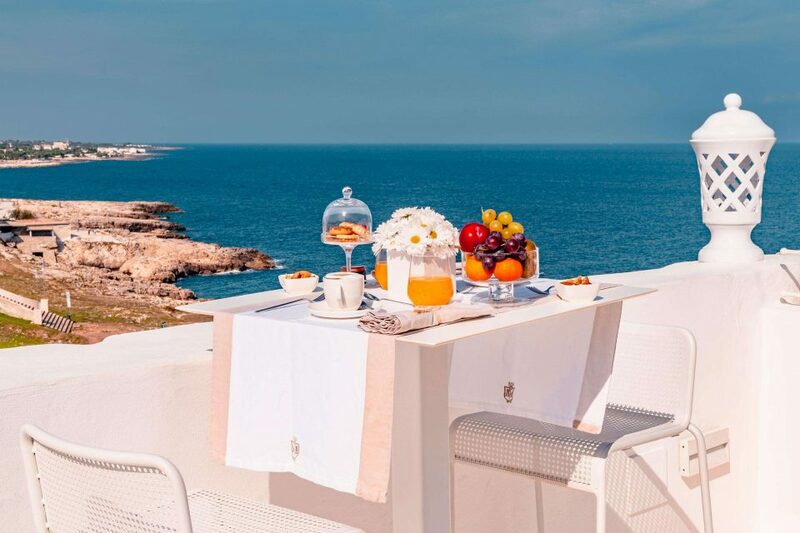 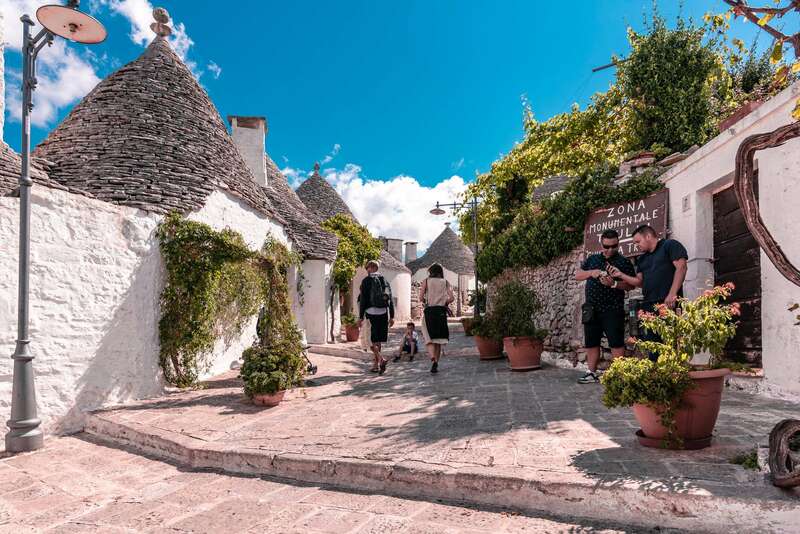 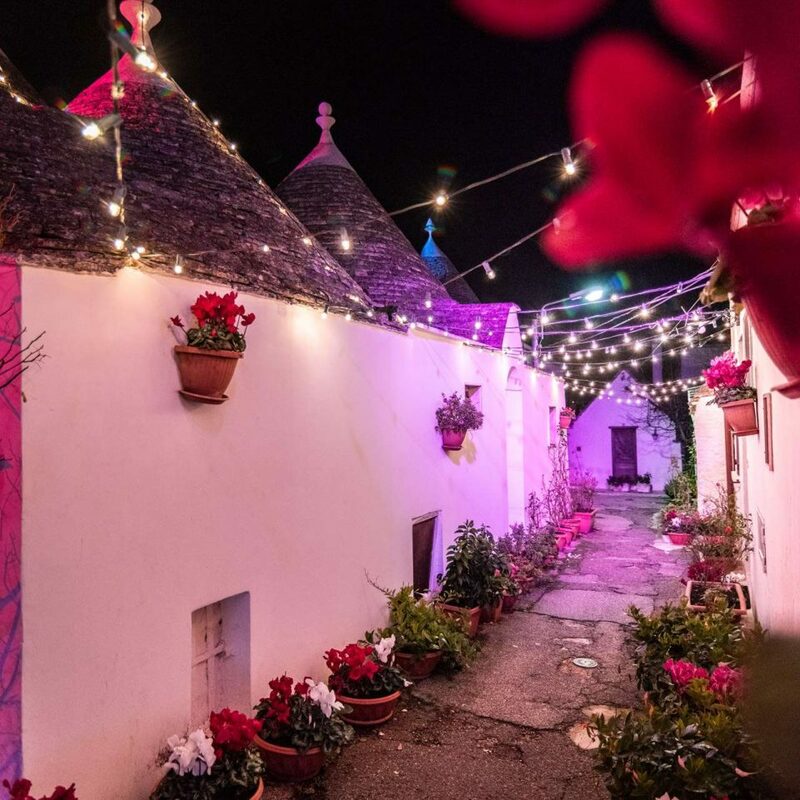 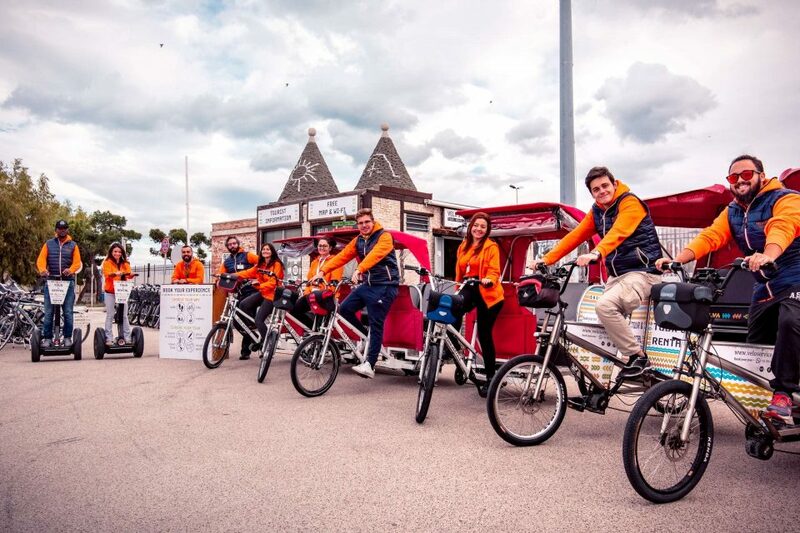 Anyways, to enjoy the atmosphere to the fullest, we suggest you to walk through the little streets spotting and visiting the old Trulli, talk with locals and eat the delicious typical food. 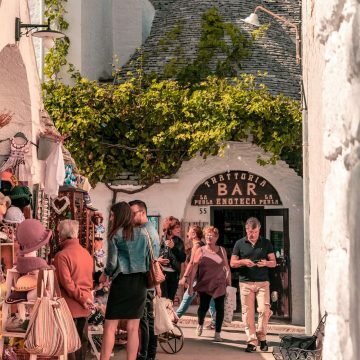 This small and unique town also has a long artisan tradition: walking across the streets you can find shops with wrought iron objects, craftworks of olive wood and linen garments. Alberobello it’s also a good point to start a road trip in Puglia because of its position. 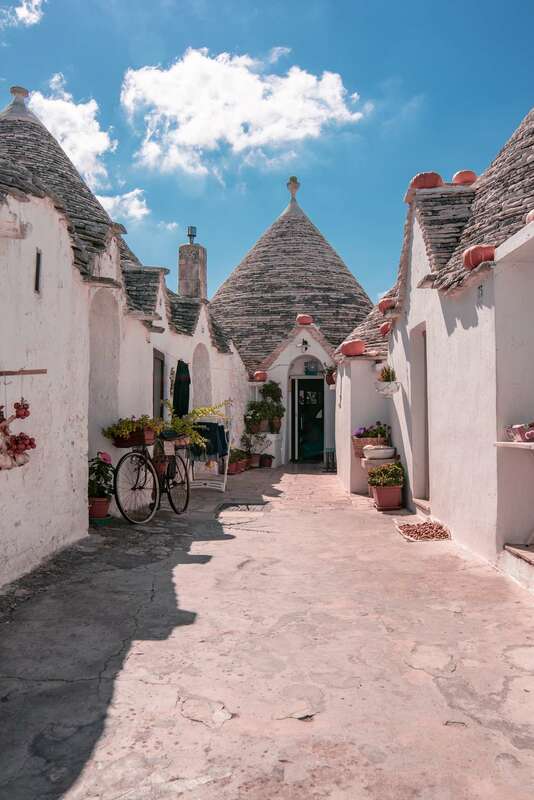 Going up north you can visit Noci, Putignano and Castellana Grotte. 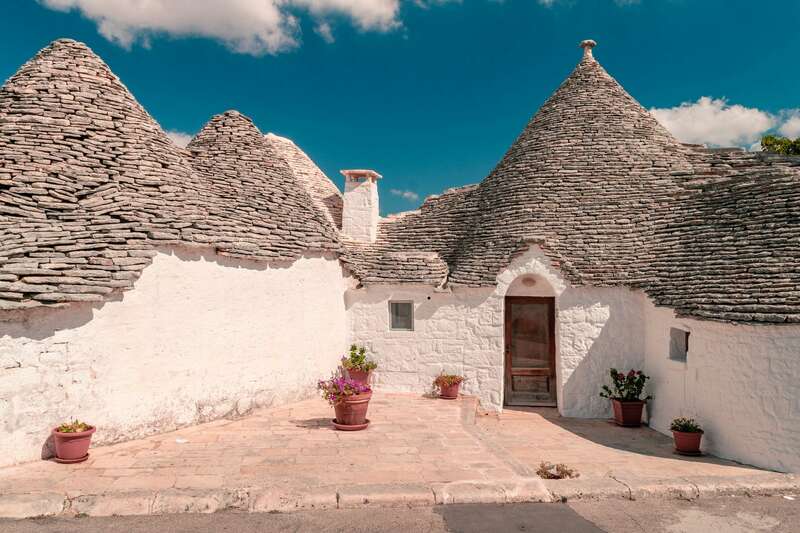 While going south you can find Locorotondo, Martina Franca and Cisternino, that are part of Itria Valley too. 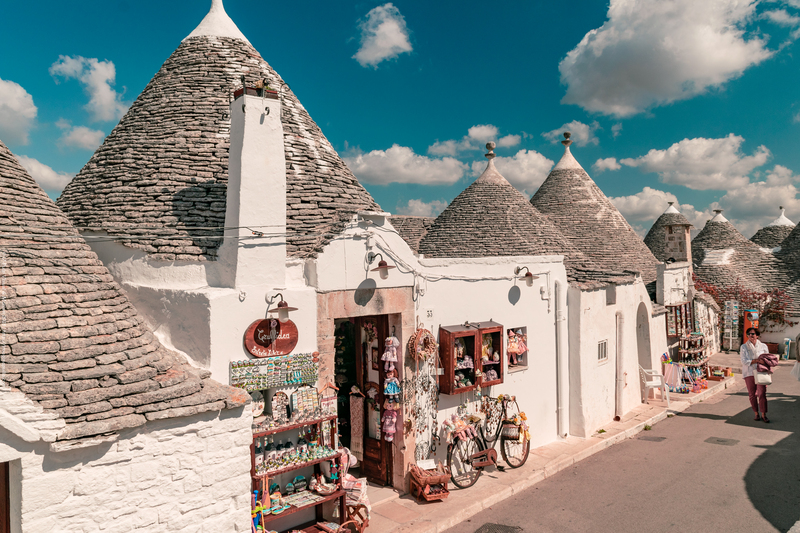 Guess why the Trulli rooftops have that shape! 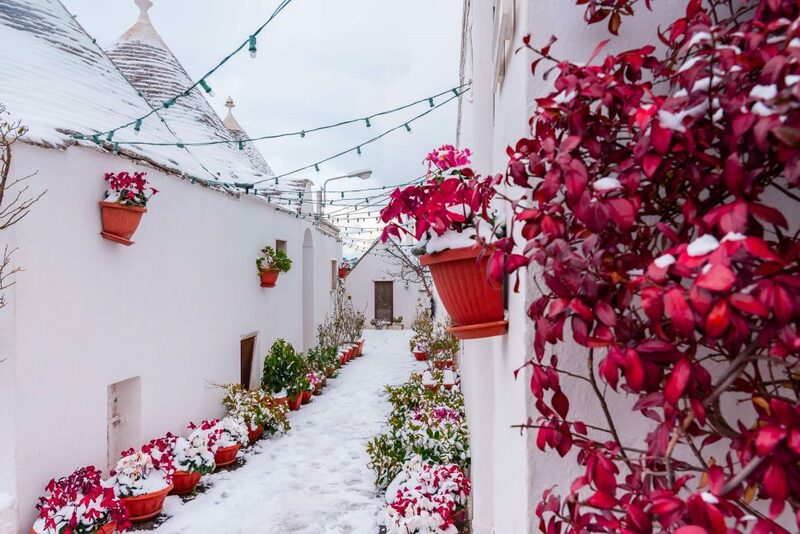 In the old days in Italy there was a tax on the rooftops. 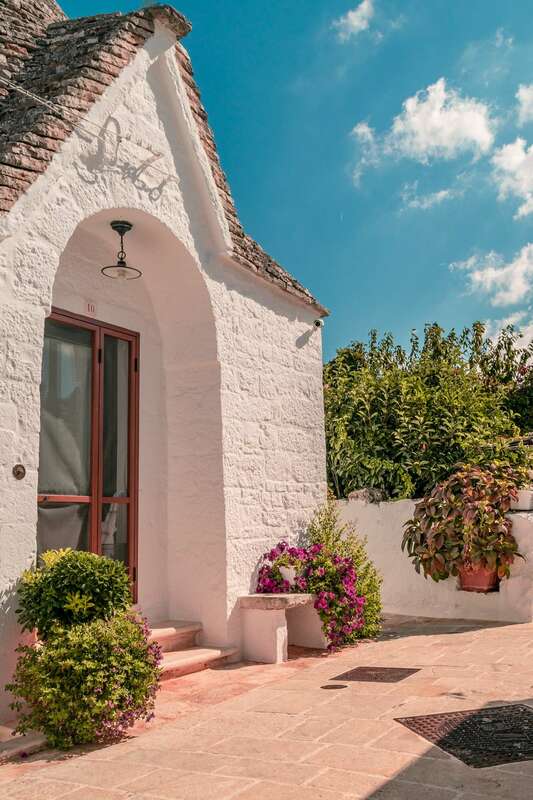 So, you had to pay this tax on the number of rooftops you had got. 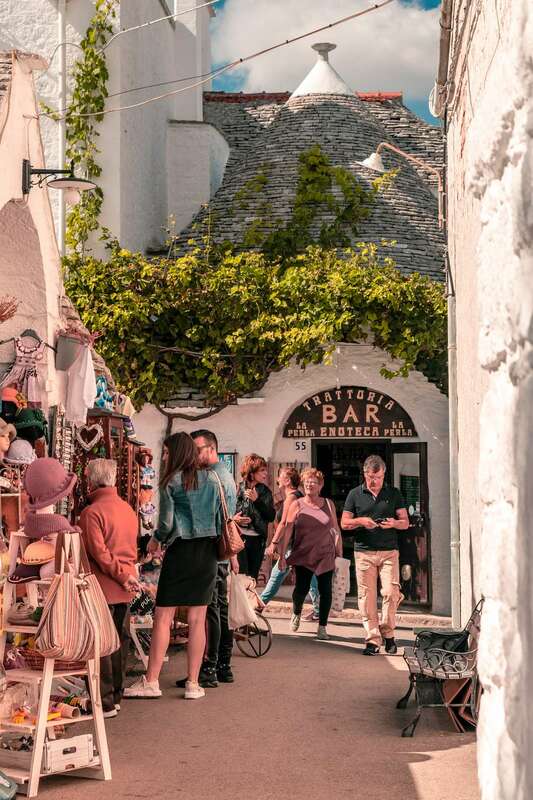 People from Alberobello had contrived a trick. They started to build their own houses with this conical roof that made by stones wedged each other without any glue or concrete. 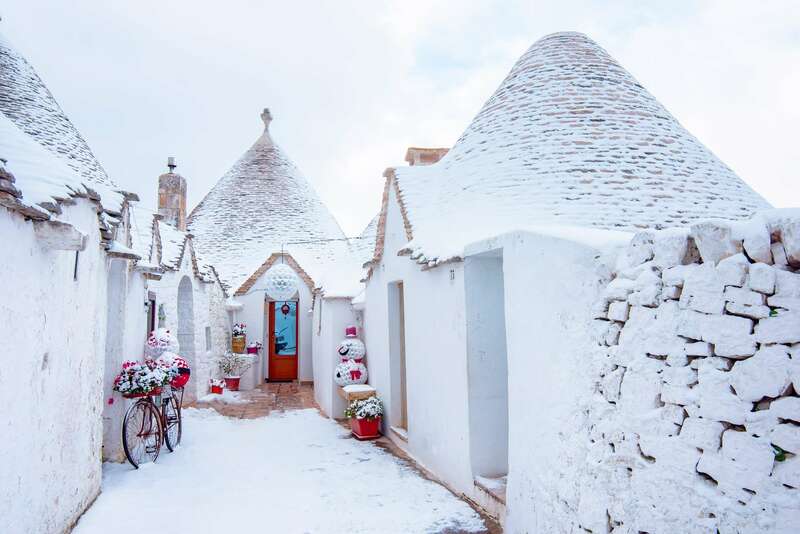 In this way they could disassemble the roofs anytime, especially when the tax inspector came. 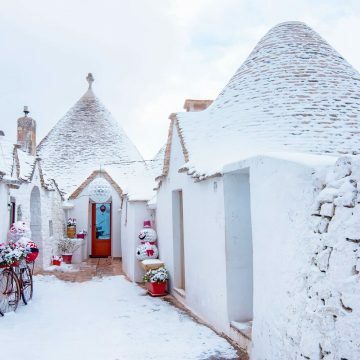 They couldn’t know before that they were building those worldwide unique houses. 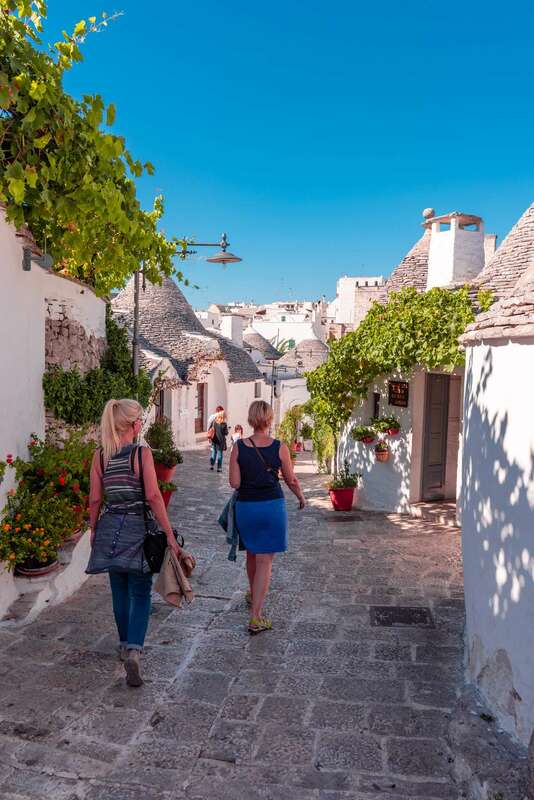 Start planning your trip in Alberobello now! Get the direction straight on clicking on the map below or ask for more infos contacting the Managing Authority by the form below.